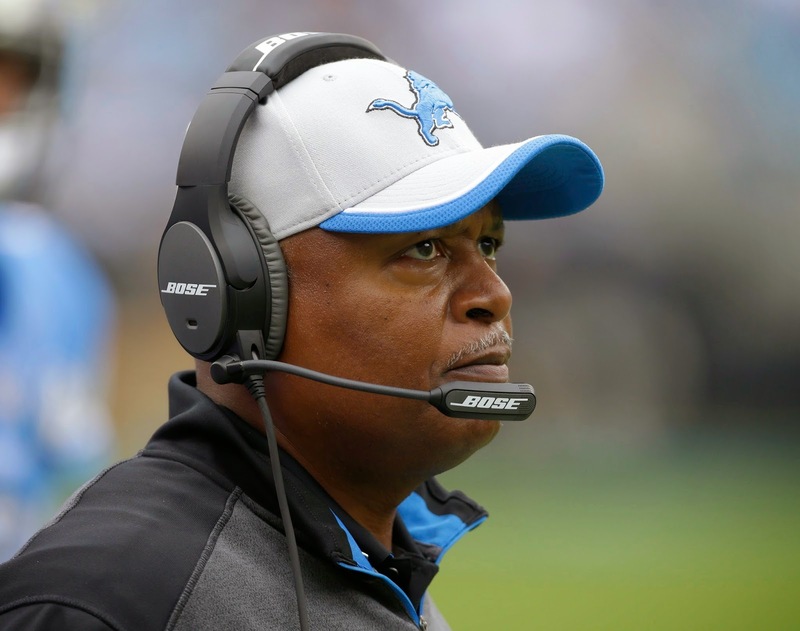 If Jim Caldwell’s name isn’t in the early conversation for NFL coach of the year it should be. Actually it has started regarding the first-year Detroit Lions coach. ProFootballTalk.com ranked the Lions sixth in the weekly power rankings this week. Gregg Rosenthal on NFL.com also mentions Caldwell as a candidate. Still Caldwell has taken a team that won just one of its final seven games last season and changed its attitude. Almost more impressive is they are 3-0 with Calvin Johnson sidelined for the last three games. Caldwell has changed that thinking. It’s one day at a time and on Sundays it’s one play or series at a time. He’s a well-prepared coach with two Super Bowl rings. Nothing takes him by surprise. He’s got the team prepared for every scenario and it’s up to them to execute. His calm demeanor on the sidelines spreads to the team. After several months together, the team has taken on his personality. When he was hired, there were skeptics. He has silenced at least most of them. He holds players accountable no matter their spot on the depth charter or draft status. He’s not afraid to call out anyone in a team meeting. It’s happening behind closed doors, but he rarely will call out a player to the media. Other early candidates for coach of the year include Arizona Cardinals’ Bruce Arians and San Diego’s Mike McCoy. Non-candidates include two names who were mentioned for the Lions’ opening. Ken Whisenhunt’s Tennessee Titans are 2-6. Lovie Smith’s Tampa Bay Bucs are 1-6. It’s looking like the Lions found a good fit in Caldwell. ALLEN PARK — Jim Caldwell said Tuesday morning that there is no timetable for the return of defensive tackle Nick Fairley who injured his right knee in Sunday’s win over the Falcons. 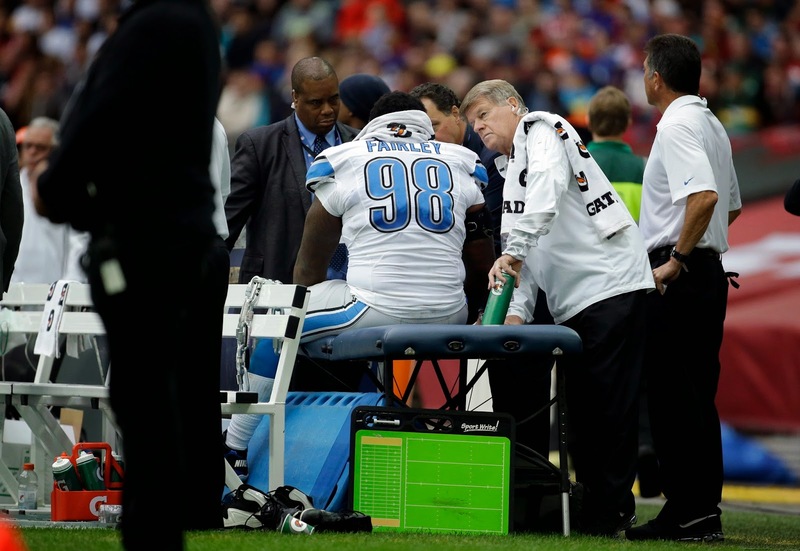 The Detroit Lions coach said reports that Fairley would be out four to five weeks did not come from the team office. Those reports said that Fairley had a sprained MCL and PCL. The coach said he's not sure if it’s a season-ending injury. “They haven’t told me that he wouldn’t be (available this season), at this point in time,’’ Caldwell said. The Lions have a bye this week. Caldwell has given the players the rest of the week off. On Monday the team will start to prepare to play the Miami Dolphins on Nov. 9 at Ford Field. OK, so far so good for the Detroit Lions. They’re 6-2 and atop the NFC North at the halfway point despite several key injuries. Unlike seasons past, they are finding ways to win. In the last two games they have held the lead for exactly 98 seconds and yet they have won both. The defense is still ranked No. 1 in the NFL allowing just 290.4 yards per game — second against the run, fifth against the pass. This despite the fact they lost Stephen Tulloch and Bill Bentley for the season. The offense has been iffy, but with mostly good reason. 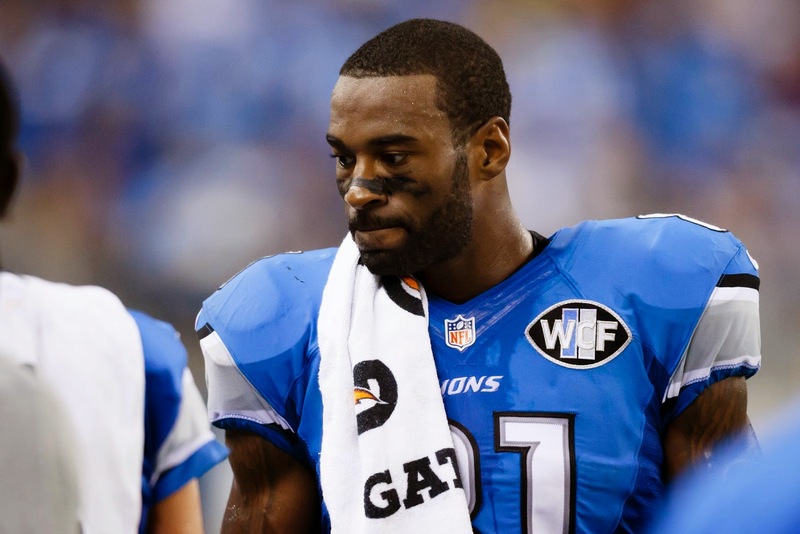 Calvin Johnson has missed three games, Reggie Bush has been out for two. Right tackle has been an issue with LaAdrian Waddle missing half the games and Corey Hilliard gone for the season. None of the top three tight ends played on Sunday. Golden Tate has played exceptionally well. Matthew Stafford has been up and down, but he has somehow gotten the job done. He’s still adjusting to the new offense, but needs to be more precise with his passes. Sunday was the first game where he was not sacked. He was sacked 24 times in the first seven games which is one more time than in 16 games in 2013. The loss to the Bills was not on the offense or defense — remember the 17-14 loss where Alex Henery missed three field goals? Special teams has been mostly solid. Matt Prater seems to be the answer at kicker. He’s four of six on field goals in four games. The Lions have a bye this week to rest up. 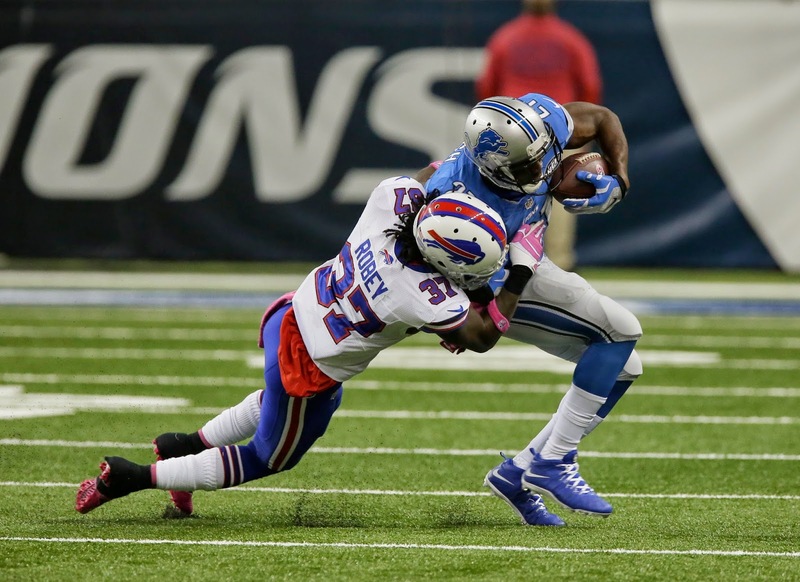 Most should be healthy for the Nov. 9 game against the Miami Dolphins at Ford Field. Also rookie linebacker Kyle Van Noy will be eligible to play for the first time on that Sunday. Of their next seven opponents (they play the Bears twice), four have winning records. After the Dolphins at home, they travel to Arizona against the Cards (6-1) on Nov. 16 and to New England against the Patriots (6-2) on Nov. 23. That should be the toughest two-game stretch in the second half of the season. The Lions play the Bears (3-5) on Thanksgiving and the Tampa Bay Bucs (1-6) on Dec. 7 at Ford Field. On the Dec. 14 they play the Vikings (3-5) who they beat in Minnesota two weeks ago. Then they wrap up the regular season at the Bears on Dec. 21 and at Green Bay on Dec. 28. (That game sets up to be flexed to the Sunday night game). They should beat the Dolphins, Bears (at Ford Field), Bucs and Vikings. No excuses acceptable on any of those. That would bring them to 10 wins. The way things have gone I wouldn’t count them out against any team at this point especially with a healthy offense. So who had the Lions finishing 10-6? Not me. I had 9-7. These are the Lions so who knows, but there is a remarkable difference in the team attitude. It stems from Jim Caldwell and his staff. It should be a good second half and the Dec. 28 game should not be the final game of the season. The playoffs start Jan 3. Yes, I wrote the ‘P’ word. 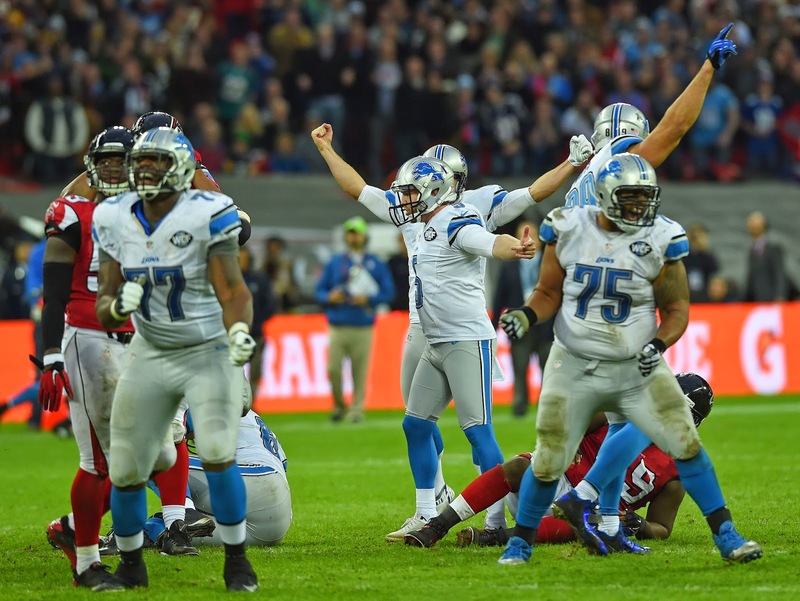 Matt Prater became the Detroit Lions’ hero when he kicked the 48-yard game-winning field goal at Wembley Stadium in the 22-21 win over the Falcons. It wasn’t as smooth as it should have been. That's putting it mildly. Prater missed on the first attempt of 43 yards, the Lions got a delay of game penalty and were moved back five yards. Prater explained to reporters that he was hurried on the first attempt. “I got out there late, the clock was running obviously and so I rushed it. Sam (Martin, the holder) told me to hurry, I looked at the clock when I was taking my steps back and I think there were three seconds,’’ Prater said. “I actually slipped a little bit, but in my head I kind of knew it was going to be a delay of game and I know a game can’t end on a penalty. The footing was bad at that spot so I was happy to move it back,’’ he added. So he had more time to prepare for the second attempt which set him at ease. Prater was three of three on field goals at Wembley where the footing was not the best. In three games for the Lions, Prater is 5 of 7 on field goal attempts. In 2013, he was 25 of 26 for the Broncos. 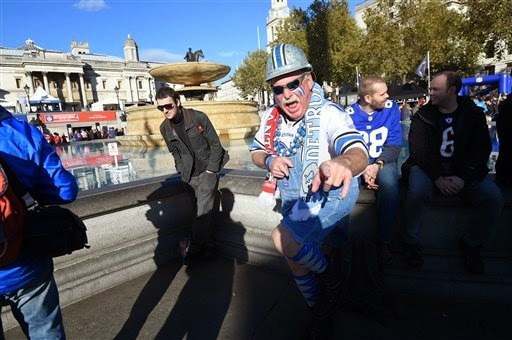 The Lions returned from London early Monday morning. They have a bye this week. They say you can judge a team by how it handles adversity. If this is true — and I believe it is — the Detroit Lions are the real deal. Everyone said it was a game they should win against the Falcons who had lost four straight. But given the circumstances a Lions' loss would have been understandable. Instead they come back with time running off the clock and then boarded the plane to Detroit with a 22-21 win. So they start on Sunday nearly 4,000 miles from home. Then early Nick Fairley gets carted off the field with a knee injury. This is after defensive tackle C.J. Mosley was sent home Saturday for violating team rules. So all of a sudden the Lions have two defensive tackles — Ndamukong Suh and fifth-round rookie Caraun Reid who played eight snaps on defense the previous game. Veteran defensive end Darryl Tapp steps in to help Suh. Matthew Stafford just didn’t have many dependable allies on the field. In the second half he made it work. The defense seemed a little rattled without Fairley, but came out for the third quarter with a renewed sense of urgency thanks to a fiery speech by defensive coordinator Teryl Austin. Matt Prater missed his first attempt from 43 yards to win the game, stepped back five yards after a delay of game penalty and nailed the game-winner from 48. Want to know the difference in this team from 2013? There are a few new faces. Golden Tate has come up huge with Johnson sidelined. Safety James Ihedigbo is a difference maker too. But mostly it’s the coaching staff led by Jim Caldwell. It’s not one game at a time with him, it’s one play at a time. It’s not magic, it’s hard work. Clearly Caldwell has coached these guys up so when they do face adversity — and it can’t get much worse than having half the offense in street clothes and down 21-0 at the half — they make the most of every snap. Yes, the season is just halfway over. But the Lions are 6-2, they get a week to rest and now, instead of looking for excuses, they find ways to win. With his 59-yard touchdown pass to Golden Tate in the third quarter today, Lions quarterback Matthew Stafford has broken Bobby Layne’s career franchise record. Stafford now has 119 touchdown passes. Layne played for the Lions from 1950-58. Heed the Lions to national championships in 1952 and 1953 and was on sideline with broken leg when they won third national title in 1957. Layne was called the “toughest quarterback who ever lived” in a 1995 Sports Illustrated story. He was one of the last players in the NFL to take the field without a face mask. Stafford, in his sixth season with the Lions, is from Highland Park, Texas — the same hometown as Layne. All seven inactives are from the offense. This is the third straight game that Johnson, who has an ankle sprain, has missed. The Lions are 2-0 without him. Golden Tate has been solid without Johnson on the field. Also expect Corey Fuller and Jeremy Ross to be more involved in the offense. Bush, who also has an ankle injury, played last Sunday but sat out the Oct. 12 win at Minnesota. Look for Joique Bell to carry the load with some help from Theo Riddick and George Winn. Right tackle LaAdrian Waddle, who suffered a concussion last Sunday, is out. Garrett Reynolds will start but expect Cornelius Lucas to see some action too. Also out are three tight ends — Brandon Pettigrew (foot), Joe Fauria (ankle) and Eric Ebron (hamstring). Fauria and Ebron were also out last week. None of the three practiced this week. Tight end Jordan Thompson will play his second straight game. Veteran Kellen Davis, who was signed on Monday, will start. Also inactive is quarterback Kellen Moore. Defensive tackle C.J. Mosley was sent home on Saturday for a violation of team rules which includes a two-week suspension. This will mean a heavier load for Ndamukong Suh and Nick Fairley. The Lions have a bye week on Nov. 2 which should give all the injured players extra time to heal. 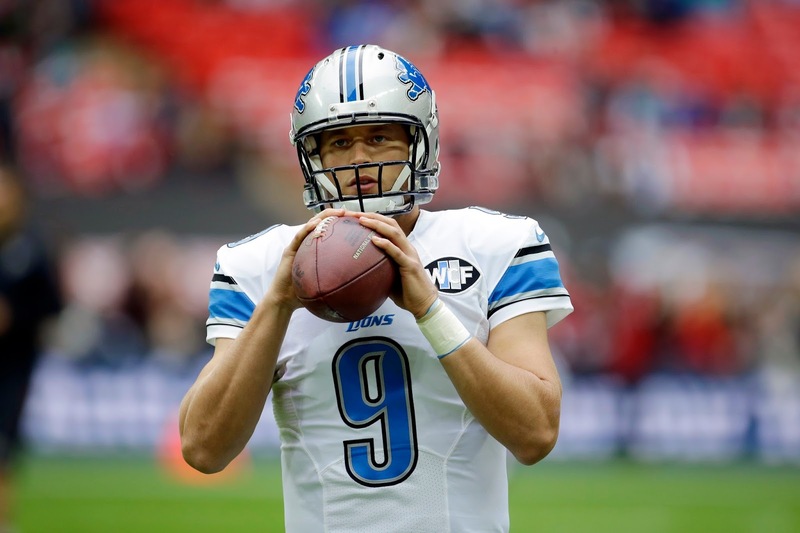 The Detroit Lions play the Atlanta Falcons at London’s historic Wembley Stadium on Sunday at 9:30 a.m. Eastern. 1. The original Wembley Stadium opened in 1923. It was demolished in 2003 and the new one opened in March 2007. 2. On Oct. 28, 2007, in front of 81,176 fans, the New York Giants defeated the Miami Dolphins 13–10 in the first regular season NFL game ever to be played in Europe, and the first outside of North America. 3. The first touchdown scored at Wembley was on a run by Giants' quarterback Eli Manning. 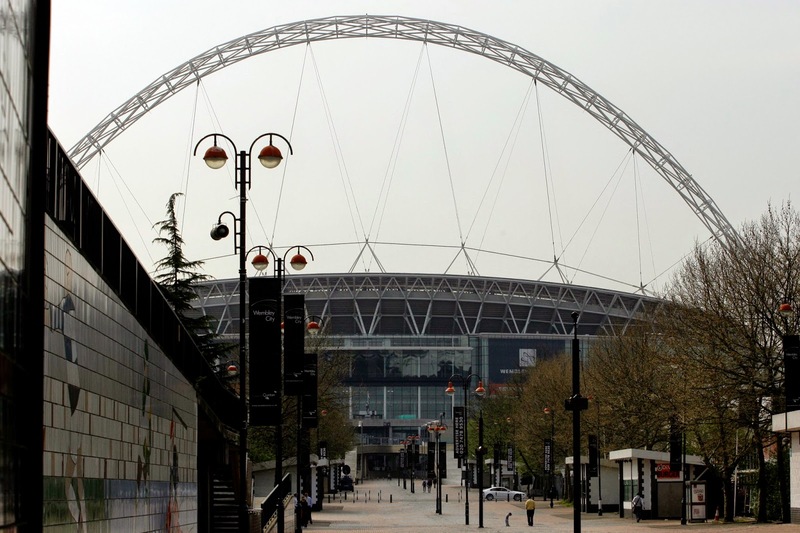 The NFL has hosted at least one regular season game a year at Wembley since. 4. 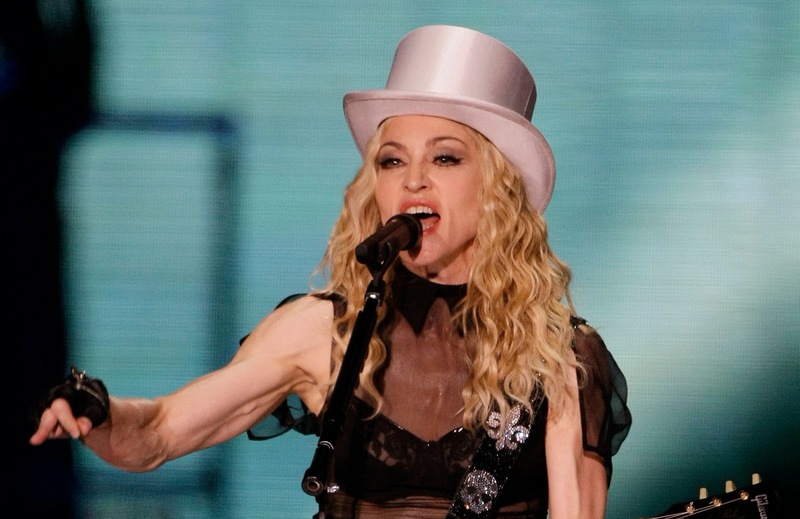 On Sept. 11, 2008, Madonna performed to a sell-out crowd of over 74,000 fans and a gross of over $12 million and surpassed all previous grosses at both the old and the new Wembley Stadium. 5. The Killers played their largest-ever sold out audience of 80,000 on June 22, 2013. They performed a song specially written for the Wembley Stadium: The Wembley Song. 6. Detroit’s own Eminem became the first rapper to headline at Wembley Stadium performing to a record 90,000 fans each night on July 11 and 12, 2014. 7. 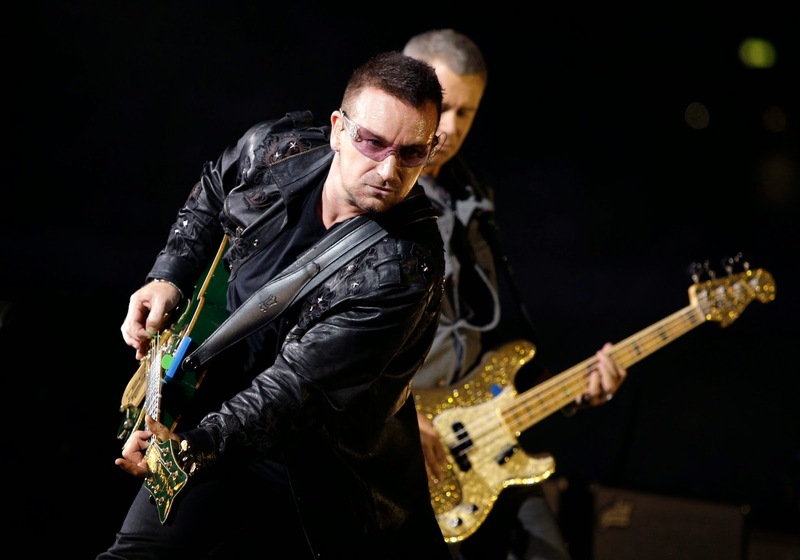 U2 performed to a record 82,000 fans each of two straight nights in August 2009. 8. 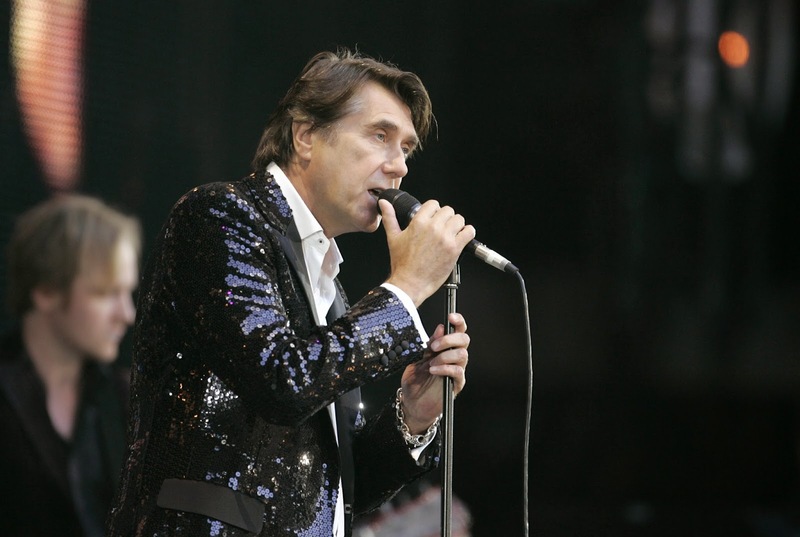 Wembley’s credentials as a music Mecca were boosted with the global phenomenon of Live Aid in 1985 and concerts by Queen in 1986, Michael Jackson in 1988 and the Rolling Stones in 1990. 9. The stadium contains 2,618 toilets, more than any other venue in the world. 10. The old stadium was the home for 33 athletic events at the 1948 Olympic games. The decathlon was won by 17-year-old Bob Mathias from the United States. If you missed Thursday's chat on the Detroit Lions, here is the transcript. 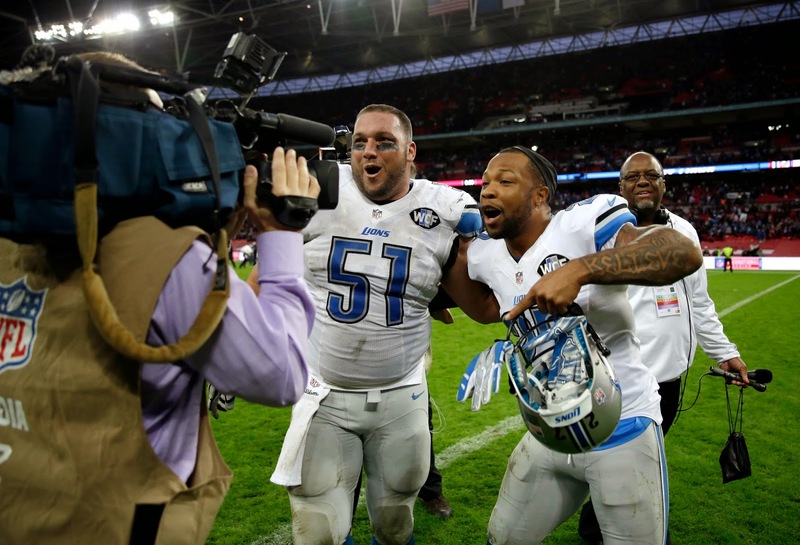 The Lions (5-2) will play the Atlanta Falcons (2-5) at Wembley Stadium in London on Sunday. 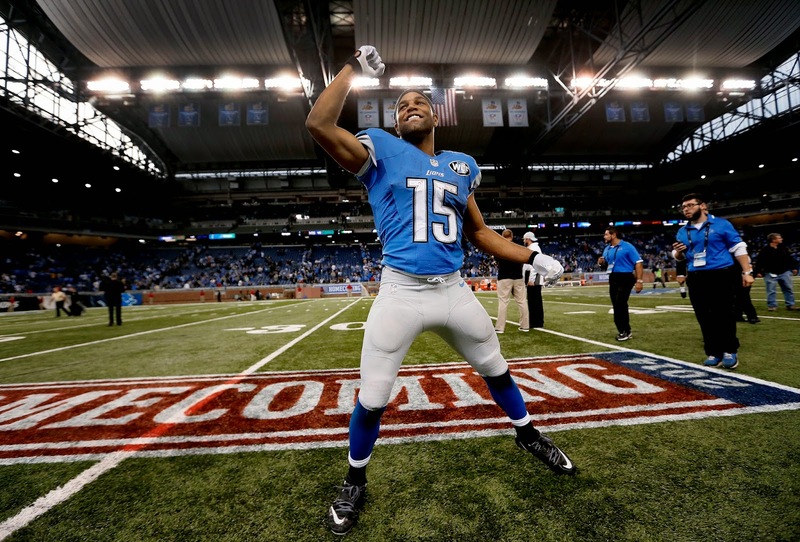 We had much discussion about Calvin Johnson, injuries and, of course, Ryan Broyles. Game time on Sunday is 9:30 a.m. It will be televised nationally on FOX. Calvin Johnson is running again, but still no guarantees that he’ll be ready to play on Sunday against the Atlanta Falcons in London. 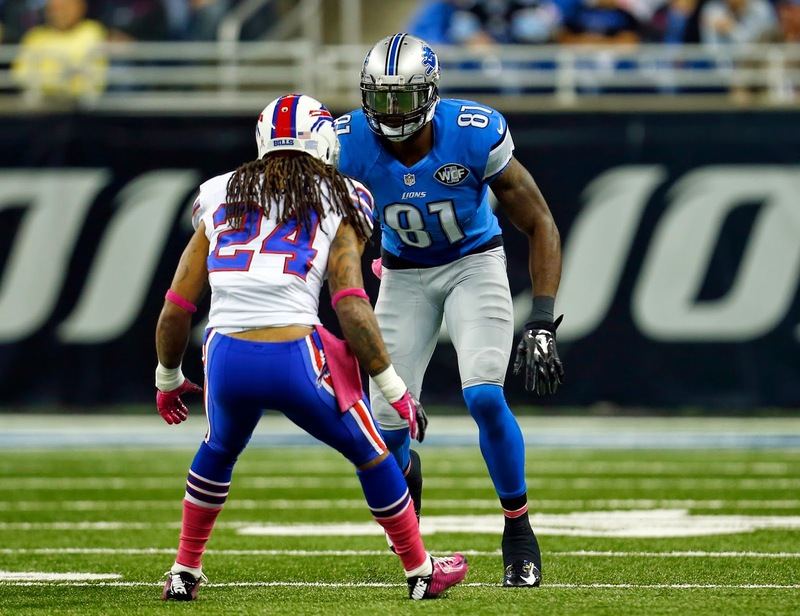 The Detroit Lions wide receiver was interviewed Tuesday morning on the NFL Network by Steve Wyche and Jordan Babineaux. Johnson has missed the last two games (the Lions won both) and was not 100 percent in the two games prior due to a sprained right ankle. But now he said he’s back running. “That’s a great thing for me right now. I wasn’t doing that last week,’’ he said on the NFL Network. While sidelined, Johnson has had more of a chance to watch the Lions No. 1 ranked defense. The Lions flew to London on Monday night. They will practice southwest of the city Wednesday, Thursday and Friday. They play the Falcons (2-5) on Sunday at Wembley Stadium. The game kicks off at 9:30 a.m. and will air to a national TV audience on FOX. ALLEN PARK — The Detroit Lions have signed tight end Kellen Davis, who played at Michigan State. He worked out for the Lions last week. The Lions are incredibly thin at tight end. They leave for London tonight to play the Atlanta Falcons on Sunday. Joe Fauria (ankle) and Eric Ebron (hamstring) did not play on Sunday. 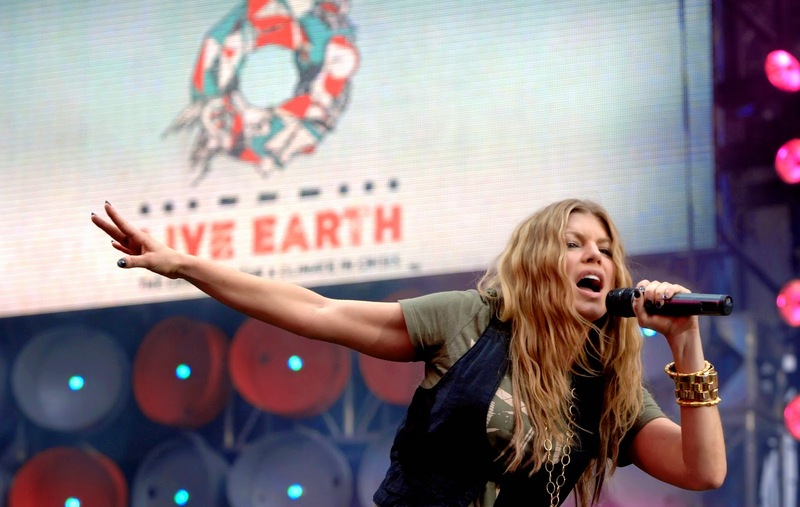 It’s unclear if either will be ready to play in London. Fauria has missed four games with an ankle sprain. It was the first game out for Ebron who injured his hamstring Wednesday in practice. Brandon Pettigrew played the entire game against the Saints, but was on the trainer’s table having his right leg/ankle worked on at one point. Jordan Thompson was signed from the practice squad. A pass from Matthew Stafford bounced off his hands into the Saints' Kenny Vaccaro's mitts for an interception. 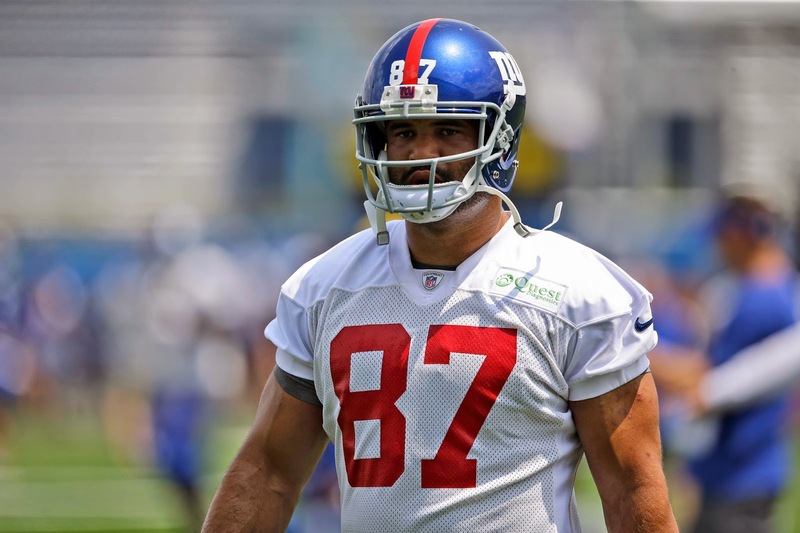 Davis, who is 6-7 and 265 pounds, was cut by the New York Giants after training camp. He has also worked out for the Saints, Ravens and Browns. He was a fifth-round draft pick by the Chicago Bears in 2008 and played there through 2012. In 2013 he played 15 regular season games for the Seattle Seahawks with four starts. He had three catches for 32 yards and a touchdown. He didn’t played in the first two playoff games but not in the Super Bowl. Also the Lions released safety Jerome Couplin and signed WR Ifeanyi Momah, who is 6-7, to the practice squad. It was definitely a team win for the Detroit Lions who beat the New Orleans Saints 24-23 on Sunday at Ford Field. 1. 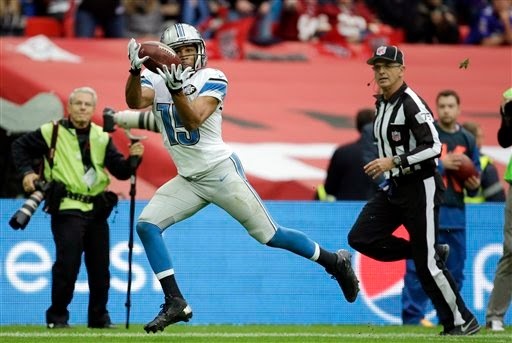 Golden Tate had career highs with 10 catches and 154 receiving yards. His 73-yard touchdown is his second longest in his career. That touchdown was the catalyst that gave the Lions a chance to win late in the game. 2. Corey Fuller’s first-ever touchdown catch was the game winner. He said he had the easy part, but that took some work to get both feet down. He had just three catches but all were impressive for the second-year player who is getting more targets with Calvin Johnson out. 3. Matthew Stafford threw two interceptions, but he also threw two touchdown passes. That fourth-quarter game-winning drive was the 13th in his career. There was a time a few years ago he was briefly called The Comeback Kid. It was also his ninth game-winning drive with less than two minutes left. Also, he did complete 68 percent of his passes. Jim Caldwell’s goal is for Stafford to complete at least 62 percent in each game. 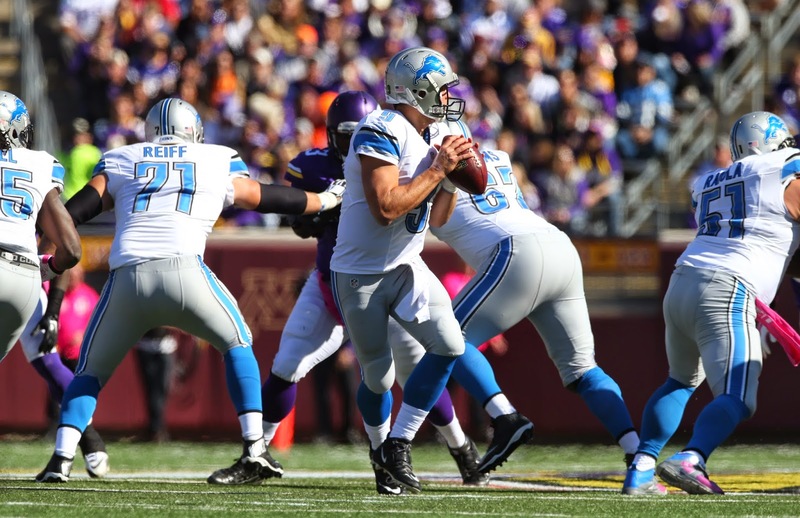 In four of the five wins, Stafford has gone over the 62-percent mark. 4. Glover Quin’s interception, his third of the season, kept the Lions in it. This was no fluke. Caldwell said Quin’s football IQ is off the charts. His teammates talked about his preparation. 5. James Ihedigbo has proven what a solid free agent signing he was. He had the only sack of Drew Brees along with a fumble recovery and eight tackles. Dig hits hard and plays with such an intensity. He’s one solid reason the defense is rated No. 1 in the NFL. DETROIT — Calvin Johnson will not play today against the Saints. The Detroit Lions wide receiver had been listed as questionable on Friday’s injury report. This is the second straight game Johnson has missed with an ankle sprain. The Lions’ offense will also be without tight end Eric Ebron who tweaked a hamstring in Wednesday’s practice and didn’t practice on Thursday and Friday. He was doubtful for the game. Tight end Jordan Thompson was signed from the practice squad to fill in at tight end where Joe Fauria (ankle) remains out. Brandon Pettigrew said Thompson, who will be playing in his first NFL game, is the smartest player in the tight ends room. Linebacker Travis Lewis (quad) was placed on injured reserve on Saturday to make room on the roster to sign tight end Thompson. Other inactives: Quarterback Kellen Moore, Theo Riddick (hamstring), Larry Webster and Garrett Reynolds. Saints tight end JImmy Graham (shoulder) is active. Inactives for the Saints: FB Erik Lorig, WR Joe Morgan, WR Nick Toon, DE Brandon Deaderick, LB Kyle Knox, LB Ramon Humber, and CB Patrick Robinson. 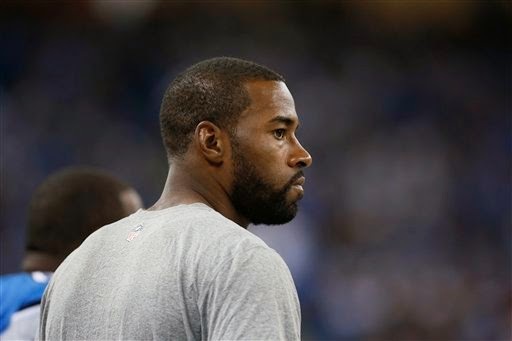 ALLEN PARK — Calvin Johnson has not officially been shut down for Sunday’s game against the New Orleans Saints. 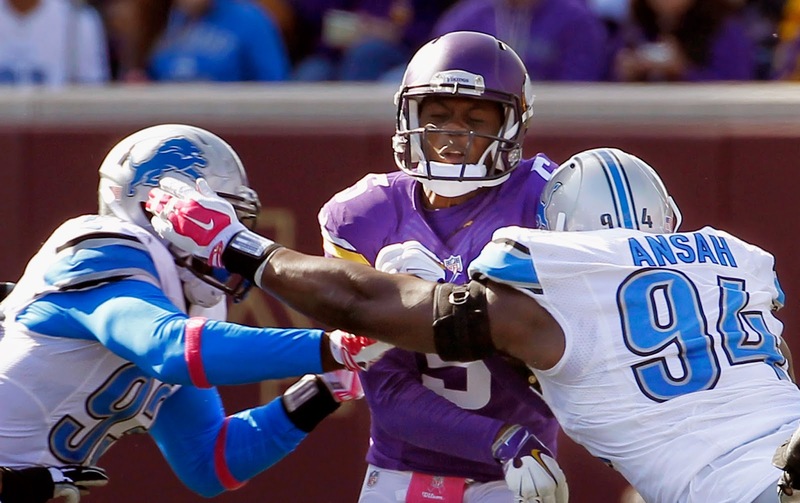 The Detroit Lions wide receiver missed last Sunday’s game at the Vikings with a sprained ankle. He has not practiced all week. “You know I’ve been surprised before, he’s an unusual guy. Just talking to him yesterday after practice he’s feeling good and coming along. Miracles have happened,’’ coach Jim Caldwell said. “It would be fairly close (to a miracle) in some cases, but in this particular case, he’s a different guy. These guys have an unbelievable tolerance for pain, their recovery is quick. He’s no different,’’ Caldwell said. — Caldwell seems uncertain if tight end Eric Ebron will be ready to play on Sunday. Ebron tweaked a hamstring in Wednesday’s practice and didn't practice Thursday or Friday. “It’s a matter of how quickly he’s going to be able to rebound,’’ Caldwell said on Friday morning. — Fauria (ankle) has been out on the field watching practice this week, a sign of improvement. — Captains for Sunday: Reggie Bush on offense; James Ihedigbo on defense and Isa Abdul-Quddus on special teams. — Also missing from Friday's practice: Theo Riddick (hamstring) and Travis Lewis (quad). ALLEN PARK — It could be interesting at tight end for the Detroit Lions on Sunday. 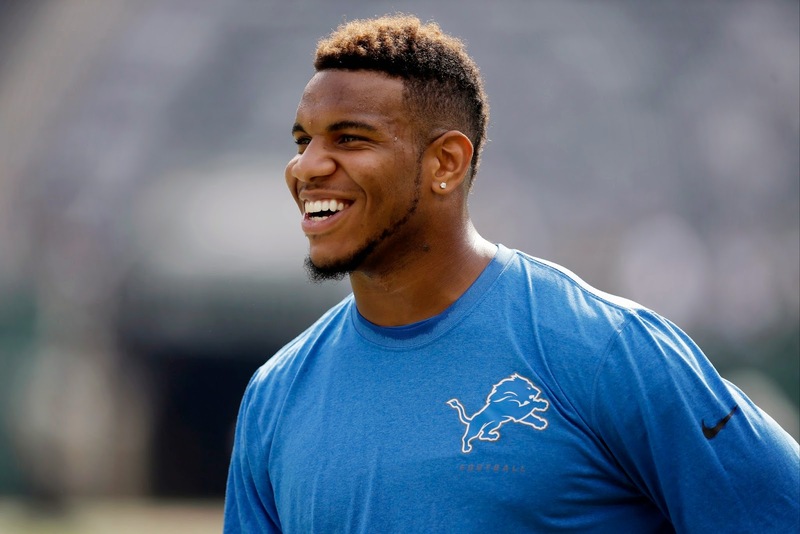 Rookie Eric Ebron did not practice on Thursday due to a hamstring injury. With Joe Fauria out with an ankle injury, that left Brandon Pettigrew as the only healthy tight end. Tight end Jordan Thompson is on the practice squad and could be moved up. Calvin Johnson (ankle) also did not practice which was not a surprise. Defensive end Ziggy Ansah (toe) who was out on Wednesday, returned to practice today along with wide receiver Jeremy Ross (ankle) who also didn’t practice on Wednesday. Running back Theo Riddick (hamstring) and linebacker Travis Lewis (quad) was also out. ALLEN PARK — Reggie Bush returned to Detroit Lions practice today (Wednesday) after sitting out Sunday’s game win an ankle injury. Bush participated in the individual drills that were open to the media. However, Calvin Johnson remained out which was not a surprise. Johnson said earlier in the day he still had some pain and was unsure if he would be ready to play this Sunday against the Saints. Ziggy Ansah, who was named NFC defensive player of the week, was out with what is believed to be a toe injury. Wide receiver Jeremy Ross was out along with Theo Riddick (hamstring) and Travis Lewis (quad). Joe Fauria, who injured his ankle in a freak puppy-related incident and has missed the last three games, did not practice but was out on the field in his sweats. That could be an indication that he is getting closer to a return. Also, rookie linebacker Kyle Van Noy was participating in his first practice in the regular season. He was on short-term injured reserve and Wednesday was the first day he was allowed to practice. He was out after sports hernia surgery. If he stays healthy the first game he can play is after the bye when the Lions play the Dolphins at Ford Field on Nov. 9. ALLEN PARK — Calvin Johnson enjoys watching the Lions' top-ranked defense so much he wants to get in on the fun. In the past, Johnson has lined up occasionally at safety during Hail Mary plays, but he has not so far this season. Coach Jim Caldwell said there are a number of defensive positions that Johnson could play. "You're talking about Superman,'' Caldwell said. Before he can play defense or offense, he has to get his right ankle healthy. Johnson sat out the win over the Vikings on Sunday and was limited the previous two games with an ankle sprain. “Like I said last week, just working as hard as I can to get this thing right. When it’s right we’ll get out there,’’ Johnson said on Wednesday. Johnson said he’s doing ankle strengthening and balance exercises. He said there is still some lingering pain. ALLEN PARK — Detroit Lions defensive end Ziggy Ansah has been named the NFC defensive player of the week. Ansah 2.5 sacks, a forced fumble and five tackles including three for a loss in the 17-3 win over the Vikings on Sunday even though he was just on the field for 49 percent of the defensive snaps. The defense combined for eight sacks of quarterback Teddy Bridgewater. 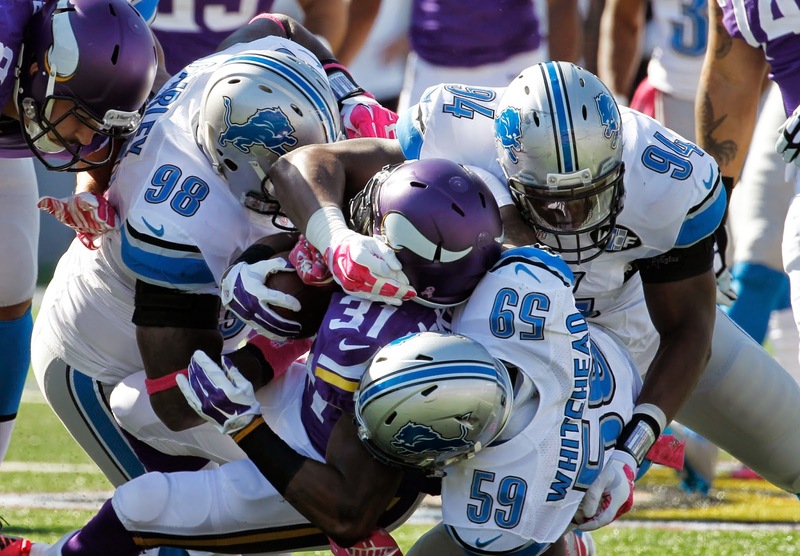 The Lions maintain the NFL’s top rated defense allowing 270.2 yards and 13.7 points per game. The Lions lead the NFL with 20 sacks — 15 from the defensive line. Ansah is the second Detroit defensive player to be honored in the first six games. Linebacker DeAndre Levy received the same honor in Week One. 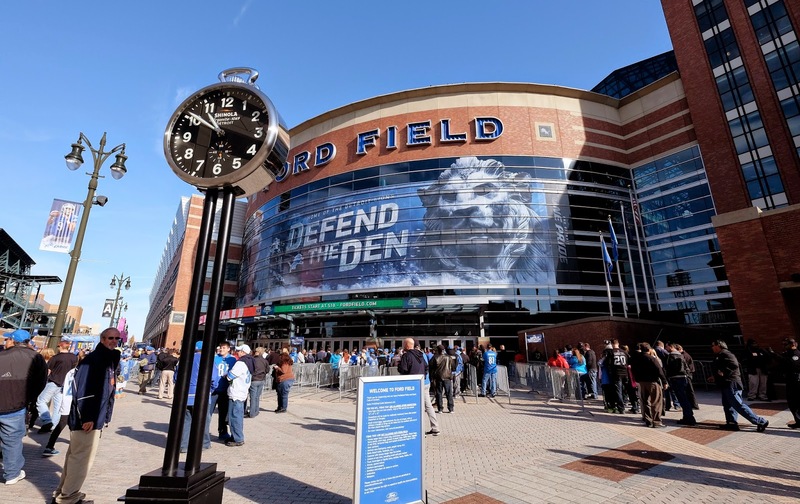 Join us for a live chat at 3 p.m. Thursday to discuss the Detroit Lions (4-2) as they prepare to play the New Orleans Saints (2-3) on Sunday at Ford Field. Joe Lombardi, the Lions offensive coordinator, spent the last seven seasons with the Saints which adds a twist to this game. Bring your questions or just read along. ALLEN PARK — Calvin Johnson, Reggie Bush and Theo Riddick are “coming along” and “improving rapidly” according to coach Jim Caldwell in his Monday press conference. Johnson and Bush, who both have ankle injuries, did not play in the 17-3 win over the Vikings on Sunday. Riddick couldn’t finish the game with a hamstring injury. — He had not seen Ryan Broyles tweet after the game which made it seem he was frustrated with his lack of playing time. He was on field for two offensive snaps and was not targeted. Caldwell said he has an open-door policy and Broyles hasn’t crossed the threshold. 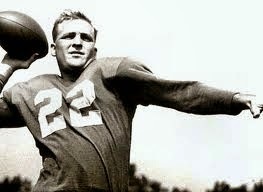 Although the coach noted Broyles could have talked to one of the assistants. Broyles' tweet: "It's tough to keep a smile on your face when you feel like u are being held back but remember you are where u are for a reason!" — Kyle Van Noy and TJ Jones are eligible to start practicing this week. Caldwell said it depends on whether both are cleared from a medical standpoint. Van Noy, who has been on short-term injured reserve, is recovering from sport hernia surgery prior to the season start. Jones started the season on the physically unable to perform list due to shoulder surgery. — The squib kick after touchdown in first quarter was called due to the gusting wind. Caldwell said he didn’t want to give Cordarrelle Patterson a chance to run it back.